By Clemente Lisi – NEW YORK, NY (Jan 28, 2019) US Soccer Players – The months needed to prepare for a new MLS season are full of nerve-racking intensity. There are players to draft, others to trade, and the logistics associated with staffing and stadium prep. That’s all further intensified when you’re an expansion team. This is where FC Cincinnati finds itself just weeks ahead of the kickoff to the 2019 MLS season, its first in the top flight after moving up from the USL. Unlike a typical promotion/relegation situation, FC Cincinnati doesn’t have last season to build upon. This is a team rebranded and loaded with new players. The team has, in essence, starting from scratch and constructing a team that can compete with the best in American soccer. FC Cincinnati has done a great job staying relevant in the daily soccer news cycle. Just last week, the team acquired midfielder Caleb Stanko from Bundesliga side SC Freiburg. Stanko, 25, spent eight seasons with SC Freiburg and has played in various age categories in the US National Team pool. Not to be outdone, they also acquired defender Nick Hagglund, a Cincinnati native, from Toronto FC. Both players add experience and excitement to this roster. This is after they made a splash at the recent SuperDraft. The moves allowed the team to trade for first-round picks and fill out its roster. That’s after the team signed a core group of players at the end of last season that it could build around. The result has been a healthy mix of veterans and youth. Add the enthusiastic home support that will welcome this team, and FC Cincinnati are hoping to have a successful first season. How can an expansion side define success? A playoff berth would certainly count, a harder feat each season as the league continues to expand, players get better, and competition tougher. Does their time in the USL tell us anything about their future? To better understand where you’re going, the old saying goes, you need to look at where you’ve been. For those not up on their recent American soccer history, FC Cincinnati competed in the USL for just three seasons. In that short time, this team became a national phenomenon, highlighted by winning streaks in the USL, a US Open Cup run, and attendance records. Here are a few stats. 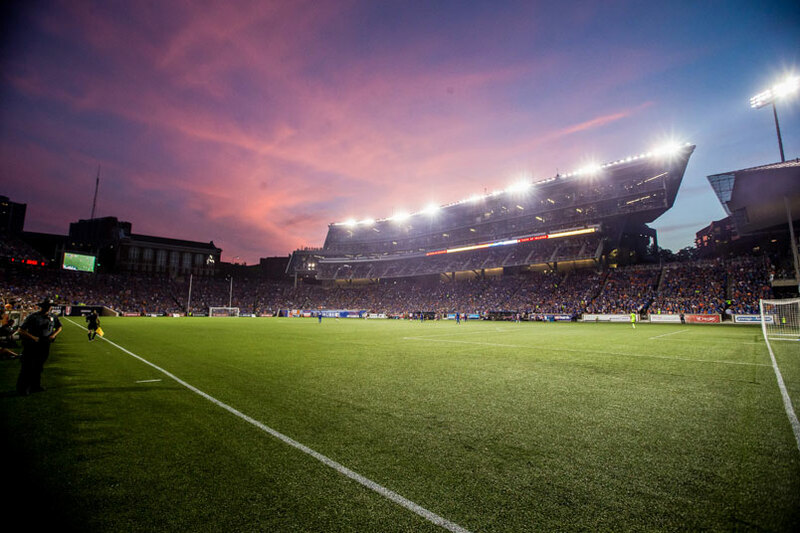 In its first season, the team broke the USL attendance record on April 16, 2016 at Nippert Stadium for a single game with 20,497 against Louisville City. On May 14, the team broke its own record when 23,375 people watched them play the Pittsburgh Riverhounds. It broke the attendance record again, on September 2016, drawing 24,376 fans against Orlando City B. It happened a fourth time on August 5, 2017, when 25,308 watched them play Orlando City B. On July 16, 2016, the team set a record for highest attendance for a soccer match in Ohio, 35,061 in a friendly against English club Crystal Palace. The team followed that up by breaking a USL playoff attendance record with 30,187 fans watched them versus the Charleston Battery. In its first-ever game against an MLS team, they broke the attendance record for a US Open Cup fourth-round game with 30,160 fans in a 1-0 win versus Columbus. On June 28, 2017, against the Chicago Fire in the US Open Cup round of 16 they drew 32,287 the second-largest in the tournament’s modern era. There is a single pattern to these accomplishments. Several impressive wins and its underdog status propelled the team. In 2018, the team cruised to the USL regular season title thanks to a 23-match unbeaten run. All the while, large crowds helped get the attention of MLS. These remain the recipes for success in 2019. After having signed a group of core players from its USL days, FC Cincy supplemented the roster with the SuperDraft. Their two first-round selections were US Under-20 midfielder Frankie Amaya from UCLA taken #1 overall and defender Logan Gdula from Wake Forest with the #13 pick. Both could play roles this season. 2>The team’s core players include defenders Blake Smith and Justin Hoyte, midfielder Nazmi Albadawi, and striker Emery Welshman. Midfielder Jimmy McLaughlin, the only original player left from that first season in 2016, re-signed this past December. He was recently injured and expected to miss much of the upcoming season. These are players who have the institutional knowledge and the dedication and connection to the fans and the club’s past that remain important. Add to that coach Alan Koch, who has managed the team since 2017, and there is a strong core to this squad. Two former rivals now find themselves on the same team. Striker Fanendo Adi and defender Kendall Waston both joined MLS in 2014, becoming key contributors for the Portland Timbers and Vancouver Whitecaps, respectively. Their previously rivalry-turned-friendship has become a major preseason storyline. There are other Cascadia Cup vets on this team. Striker Darren Mattocks, with DC United last season, will also feature for the team. He previously played for both Portland and Vancouver. The Jamaican international gives the team experience up front and a player with the ability to score goals. 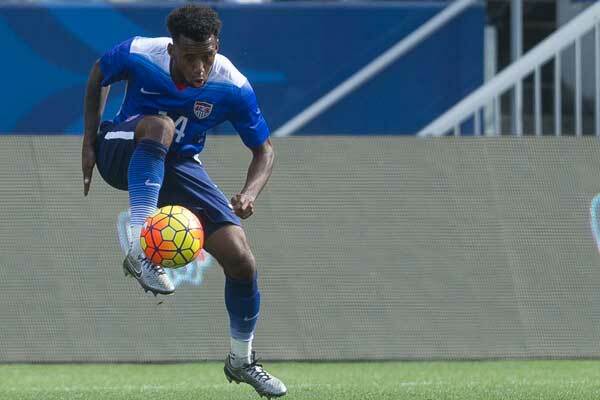 Another Jamaican, defender Alvas Powell, also played with Portland and is now in Cincinnati. He’s a powerful fullback and teaming up with former Atlanta United FC’s Greg Garza make this duo both a defensive and offensive threat. FC Cincinnati’s ties to the Pacific Northwest continues. The team’s first ever MLS game will be at Seattle versus the Sounders FC on March 2. They will make their home debut at Nippert Stadium on March 17, hosting MLS Cup runners-up Portland. FC Cincinnati remains an underdog story going into this season. If the past is any measure, underestimating them would be a huge mistake.